Althought we call this 2016, the Chinese have a much longer history and it is the Chinese New Year 4714. Chinese New Year has officially begun and it’s the year of the Monkey. Every year is represented by an animal on the Chinese Zodiac. The cycle is 12 years, with a different animal every year. To find out about your sign, see Chinese Astrology. The date of Chinese New Years changes every year. It is a 15-day celebration, beginning on the first day of the new moon, and ends on the full moon. Chinese New Years or Spring Festival, is the biggest holiday in Chinese culture. It is celebrated with festivities, fireworks, brightly colored lights, special meals with family and gift giving. It’s also a time of reflection and priorities. People make amends, reconcile with people, and reestablish communication with old ties, buy and wear new clothes, give gifts, and clean the house. We say it’s always a good time to reconcile, clean house and start anew. It can serve as the traditional Western New Year’s “Do Over.” So start thinking about those New Year’s resolutions you’ve let slide. "Xinnian Kuaile" means "Happy New Year". It's pronounced "sshin-nyen kwhy-luh," by the way. Many Chinese still believe in astrology and other New Year superstitions. Here are some things NOT to give on Chinese New Year. Shoes, scissors, mirrors, sets of four, and the list goes on. Here’s the list and reasoning on what not to give. How to celebrate Chinese New Year in Los Angles? Stay in NoHo and celebrate Chinese New Year NoHo style, or rather, Zombie Joe style with their latest show, "The Year of the Monkey." How did you come up with the idea to create a show based on the Chinese horoscope? We've always been super-excited every time the Years of the Monkey and Dragon roll around. As red-haired, ever-shifting theatre artists, we can honestly relate to their quirky, clever, intuitive, vibrant and hyper-active characteristics of The Monkeys (esp. 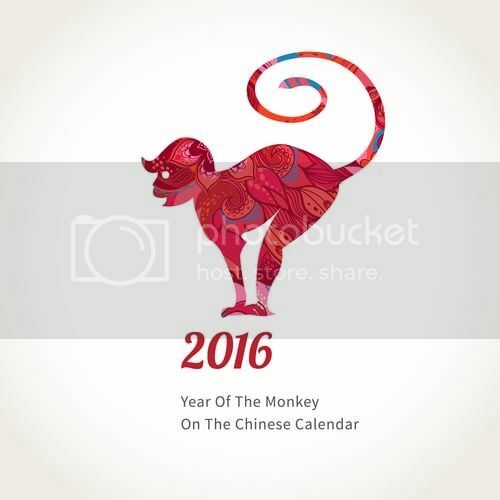 2016's FIRE Monkey) and fantastical fables that are associated with them. We've always felt it was a perfect match with our ZJU prowess, to revolve a fully immersive theatrical show around the ancient tale of the Monkey battling the Dragon over possession of the magic wand of fear, intimidation, dominion and supremacy. YEAR OF THE MONKEY is featured fully in-the-round; our wonderful audience members can either sit and enjoy the spectacle from the relaxation of their comfortable seats, or they can actually "rove" and around the performance space/stage and partake/involve themselves within the constantly-moving choreographed action - this choice is truly at the taste and discernment of each audience member, to either become part of the story or watch it from the comfort of their seat. Either way, it's a heck of a lot of fun and a great way to celebrate new, fresh vibrant theatre within the boundless spirit of the New Year, can't be beat! Do you have a pick of a cast member as a monkey? Actually each of our 10 amazing cast members (the unsurpassed ensemble of Jennifer Ashe, Jeannie Hudak, Gerald McGrory, Olivia M. Powell, Dale Sandlin, Elif Savas, Anastasiya Serada, Adam Shows, Kevin Van Cott and Roger K. Weiss), each play a variety of monkey and dragon roles, weaving in and out of our epic story. Dale Sandlin stars as Chunky, our Monkey-Master-Of-Ceremonies and Dragon-Head of sorts...Oh, this must be seen to be believed! Happy Year of the Monkey, NoHo!